Six competitors will duke it out for “best in show” in the fourth annual FinCon Fintech Startup Competition, being held live at #FinCon18 in Orlando, FL on September 27. The competition is the only early-stage startup competition dedicated to the consumer-facing personal finance and investment verticals. Max Rewards aims to help the 44 million Americans with student debt gain clarity on their repayment options using their Student Loan Repayment Calculator. Later this year, they plan on rolling out an app helping users to achieve student debt freedom faster using AI-based automation of extra payments. StudentLoanify provides student loan borrowers with one-stop help and guidance to take control of their federal student loan debt and identify the repayment plan that makes sense for them. The service will also help create a customized applications and instructions needed to obtain the repayment plan, so it can be easily signed and sent to the servicer. Emperor Investments is a robo-advisor that provides clients access to individual stocks, instead of limiting them to just EFT’s and Mutual Funds as with other services. This allows for direct ownership of companies within a client’s portfolio and ETF fee avoidance. Peak Money is a Personal Financial Management (PFM) app with an added focus on mindfulness. While you reach your financial goals, Peak Money will help you visualize your progress and reduce your stress with a supportive experience. Nav.it seeks to illuminate to women how finances create and support the fun, independent, free and confidence lifestyles they seek. Through a soon to be released app, Nav.it will also help women reach their travel goals by providing savings guidance and understanding about travel experience. StackUp helps investment clients understand whether their advisor is performing well. By comparing their performance and fees to other advisors in their peer group, StackUp gives users insight into actions they should take now to make their investment portfolio work more efficiently. Chris Hutchins is CEO and Founder of Grove, which strives to make personalized financial advice affordable and accessible to everyone through its service. He is formerly an investor in early-stage companies at Google Ventures. Jaime Masters is founder of Eventual Millionaire. She is a business coach, author, and professional speaker who has interviewed hundreds of millionaires and billionaires to discover what it takes to follow in their tracks. Zina Kumok is founder of Conscious Coins, a site dedicated to helping readers learn how to be mindful with their money so that they can reach their goals. 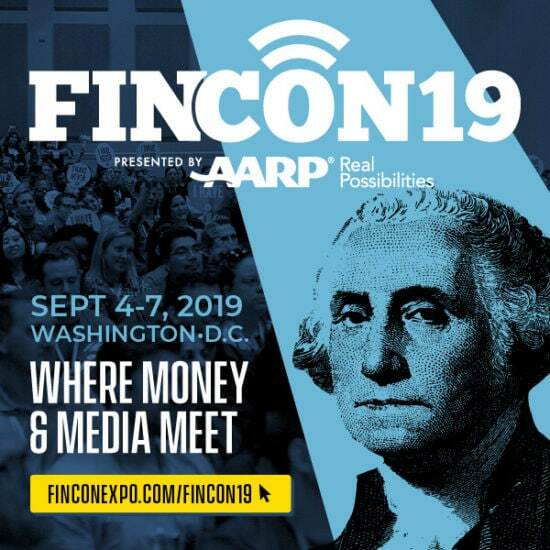 Attend the startup competition live at FinCon18 to see which company might be the next disrupter in the consumer finance world. For more information about the competition, awards & prizes, competitor eligibility, and judging criteria, see our official landing page.